In a world full of $1,000 patent leather peep toes, I love finding a gorgeous pair that won't affect my personal credit–in this case, the Enzo Angiolini "Vitizzo" pump. There's a rose gold version too, for those who are interested! Image by Lane Dittoe Fine Art Photographs. They are utterly timeless! Love them!! I'll take these and the rose gold ones, please! lovely! these would be great for an event or even just with jeans and a lace top, in love! Oooh stunning. 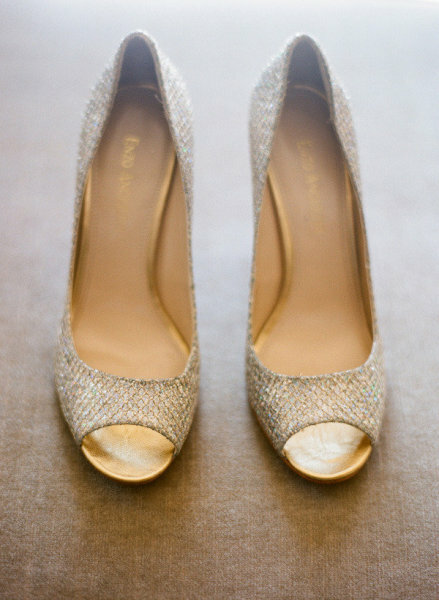 Love the shimmer! I am definitely interested. There's something so classy yet unexpected about Rose Gold. Sweet! Love a deal on some gorgeousness! I am so unbelievably with you on that one... and these are beautiful! The $1000 versions are always lovely pairs to daydream about, but you are right, the practical ones can be just as beautiful. Oooh pretty! cant wait to see them on! Not bad. If/when I get married, I'm all for affordable shoes. I know they're out there! Is this pair the gold pair that's available online? Your picture looks much more subtle of a gold than the ones available now. Just curious because I'm considering them for wedding shoes as well! Is this the same color you purchased?